Local Veterans to Take Honor Flight to Washington D.C.
AREA WIDE -- The Southern Indiana Leatherneck Detachment will be honoring local veterans next month with an "Honor Flight." The veterans’ group works on behalf of those who have served our country in both times of war and peace. Next month, the Leathernecks will be taking local veterans on an Honor Flight to Washington D.C. to visit the World War II and Vietnam War memorials and the monuments in the Nation’s Capitol. "The cost to a veteran for this flight is zero," says Patrick O’Keefe, an organizer of this year's Honor Flight. " We carry 85 veterans. Each veteran has a guardian, so there are 85 guardians. Every vet gets a wheelchair, whether they use it or not." While in D.C., the war veterans will also get the opportunity to visit Arlington National Cemetery and lay a wreath at the Tomb of the Unknown Soldier. Since those vets didn’t get a welcome home celebration, one will be thrown for them at the Evansville airport when they return from their Honor Flight, and you’re asked to come help honor our local vets. They are expected to arrive back in Evansville between 7 and 8 p.m. Central Time on May 5th. Due to construction at the airport, you'll have to park at Anchor (junction of US 41 and US 57). Shuttles will run every 10 minutes. 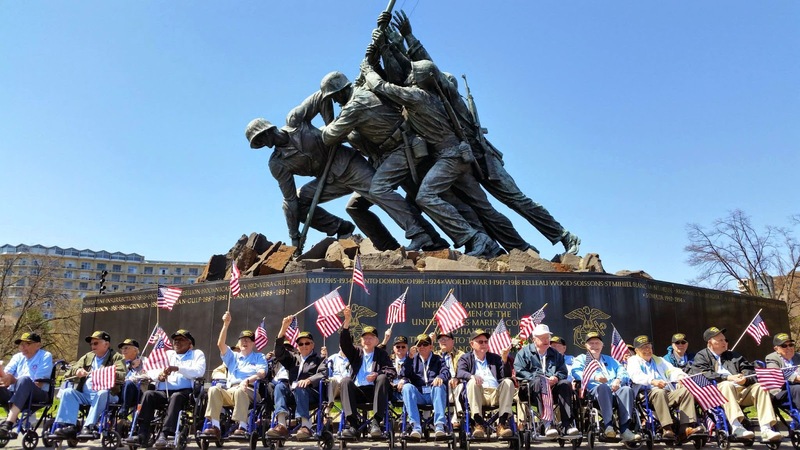 If you’d like to help cover the costs of the Honor Flight, and the other great projects the Leathernecks are involved in through the year, a 5K will be held May 19th. If you know of someone doing Good here in Dubois County, I’d love to hear about it.E-mail me at news@witzamfm.com.